When Decklan wakes up with all of the symptoms of a classic hangover, he discovers his mind is completely hazy when he tries to recollect the previous night’s events. Scowling in pain and angst, he figures some aspirin and a nap might be the prescription for a cure. It is only after a brief nap that he wakes up to discover Kyle, his best friend, apparently suffering from his own ailments, passed out in his car. But Kyle isn’t passed out. He’s dead. Completely shocked and grief-stricken, Decklan goes to the police, only to be pummeled down with questions, making it seem like he has become a suspect. After all, he was the last person to see Kyle alive. How will he face anyone? Do the closest people in his life suspect him as well? That’s when the threats start. 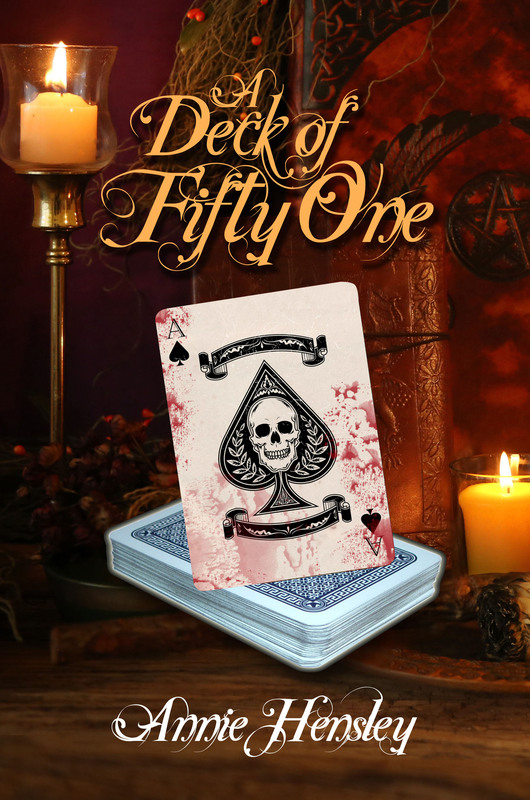 A Deck of Fifty One reminds us that sometimes we can know someone… but not really know them. Annie Hensley lives in a small town in Colorado with her boyfriend, Shane, and their children. They have two pit bulls, Jaegar and Blue. Annie loves camping, hunting, and fishing. She loves spending time with her family and, in addition to working on her second book, she is currently attending college.